These Terms and Conditions govern the operation of the program at authorised participating Hino dealers and are effective to 31 December 2018. 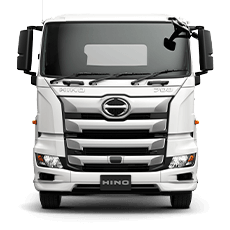 Authorised Participating Hino Dealer means a dealer appointed by Hino to sell new and /or demonstrator Hino vehicles of the kind marketed from time to time by Hino in Australia that has agreed with Hino to comply with the Hino Service Pricing Program. Eligible Model List means the list of Euro 5 model variants to which the Hino Service Pricing Program applies, as updated from time to time. 'Grey import' vehicles, i.e. Hino branded vehicles imported other than through authorised Hino channels for the purpose of resale. Scheduled Services means for all Eligible Vehicles, standard scheduled service intervals which are scheduled to occur at every 20,000km/6 month intervals (whichever occurs first) as set out in the Service Schedule – Hino. Service Schedule - Hino means the official service schedule for all Eligible Vehicles and may be amended from time to time. The service schedule differs across all models/variants; specific details can be found in your Warranty & Service Book or from your Authorised Hino dealer. 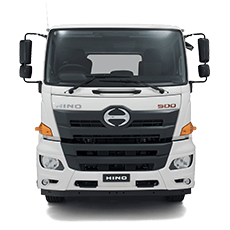 Hino means Hino Motor Sales Australia Pty Ltd, ABN 74 064 989 724. Hino Capped Price Service means the maximum price for a specified Scheduled Service as published here. 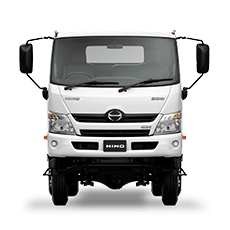 Hino Service Pricing Program means the program contemplated by these terms and conditions. 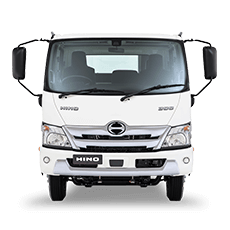 Only Authorised Participating Hino Dealers can perform the Scheduled Services for the Hino Capped Price Service. Hino Capped Price Servicing provides a capped price for each service specified in the Service Schedule - Hino; it does not prevent individual dealers charging less than the applicable capped price for any particular service. Servicing conducted under the program must be carried out in accordance with Service Schedule -Hino service interval recommendations. If any scheduled maintenance service is missed, additional costs may apply when your vehicle is presented for its next scheduled maintenance service in addition to the capped price for that particular service. 3. 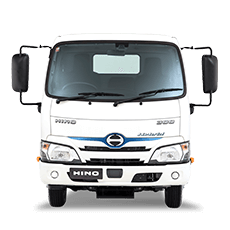 What is covered under Hino Capped Price Service? The applicable Hino Capped Price Service will cover the standard items in each Scheduled Service as set out in the Service Schedule – Hino. sundries which includes items such as oil and waste recycling and or removal, workshop supplies etc. As some driving conditions place more stress and strain on your vehicle, some maintenance procedures may be required to be performed more regularly than the Scheduled Services. Your participating Authorised Hino Dealer can advise you on the benefits of intermediate servicing in line with your vehicle’s operating conditions. Intermediate servicing is not covered under the Hino Service Pricing Program. These items will be identified as a separate charge to the published Hino Capped Price Service. Please note: Participating Authorised Hino Dealers are required to advise you if any additional service or maintenance work is required. You should be informed prior to that work being undertaken and your consent should be requested and obtained before the participating Authorised Hino Dealer undertakes the additional service or maintenance work. 6. How often will the maximum service prices be changed? On or before 31 December each year, Hino Australia will publish the Hino Capped Price Service maximum charges that will apply from 1 January the following year on its website at www.hino.com.au. Customers have the peace of mind in knowing that the Hino Capped Price Service will be valid for the following calendar year. To the extent permitted by law, these Terms and Conditions may be amended by Hino from time to time and Hino may at its election discontinue the Hino Capped Price Servicing Program. Amendments will be published on the Hino website www.hino.com.au and will take effect immediately on publication.